Art is so important. Wow, that’s probably not something I ever would’ve said a few years ago, just ask my sister or my mother… I was never a fan of art museums. I dreaded each and every trip to even the “coolest” art museums in New York City and Washington, D.C. I just didn’t “get it” and was too young to understand or appreciate any of it. Let me give you some back story. I was a dancer for 12 years, and I’ve always loved to write and paint, but I never considered myself an artist. My sister was always the artsy one, always taking art lessons or creating something new. She and my mom loved going to art museums on our trips, and were perfectly happy spending hours in them. As a young teen, I really couldn’t appreciate all the old paintings and marble sculptures. I’m 19 now, and I still wouldn’t even consider myself a fan, but a year of blogging has changed my mind about the world of art. I get it now, or I at least kind of do. I’ve spent the last year pouring my heart and mind into this blog, and I’ve learned so much from it, and from you. I’ve found my creative happy place, and it’s here. Right here. I get it. I get the need to let that creative in you out, and the need to shape it and mold it and share it with the world. I get it now, but I definitely didn’t before. I couldn’t get it because I never learned to express myself through oil paintings of starry nights or “modern art”. But I have learned to express myself through building my own little home on the internet. 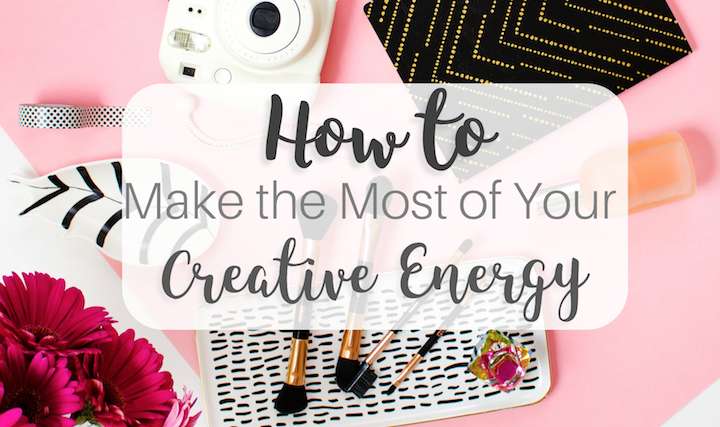 I’ve learned to harness my own creative energy, and now I wouldn’t want it any other way. If you’ve found yourself in either of these places, totally pro-art or still-trying-to-figure-it-out, I think I can help. The key to appreciating other’s art is learning to create your own. I resort to process of elimination in this area. Try a few things out, and start with whatever interests you. Start a journal, take a painting class with a friend, take pictures of your dog, or sketch the flowers in your yard. You’ll never know unless you try, and when you know, you’ll know. Okay, also easier said than done, but every artist needs a muse, or something like that. Start with the easy stuff: the stuff around you. I’ve spent many lazy afternoons taking pictures of random things in my house, backyard, and neighborhood. I didn’t have to go far, and some of the pictures turned out awesome. Another easy way to get inspired is too look at the people who inspire you. When I hit a rut, I like to watch some of my favorite YouTubers or read some of my favorite blogs, and it easily gets me back in the groove. Your body learns what usually happens in different locations. It learns to be sleepy when you get into your bed, and be hungry when you enter your kitchen. If you find a good spot to be creative and do your thing, your body will learn. I always write in my journal in my bed, late at night, when there are no other distractions. 4.) Once you find it, let it out. When you find those craved moments of inspiration and creativity and I-can-do-anything-ness, you gotta let it out. Even if it means taking a break from you Netflix or statistics homework or whatever it is. When inspiration hits, you run with it. Last year, there were many late nights in my dorm that I let my inspiration run wild. It might’ve made my roommate crazy (although she’s a huge supporter of me and I love her for it) when I stayed up typing away furiously on a blog post, but it was always worth it. I never regretted a single late night, if it meant I’d written a blog post I was proud of. So you got started doing what you love, how are you going to keep it going? Social media can be a big help at this. So you love to hand-letter bible verses. Why not start an Instagram showcasing your pretty writing? So you love taking pictures of people. Why not offer to take some for friends for special events? So you love to write. Why not start a blog? The opportunities are out there, if you’re brave enough to take them. This part is easily forgotten about, and it shouldn’t be. Art and creativity are often solo-projects, and that’s perfectly fine, but that doesn’t mean you’re the only one in the world doing what you’re doing (unless you are, which is awesome). Find a Facebook group of people in your art, or follow some Instagrammers doing their thing, too. It’s especially important to find people you can talk to your inspiration about, to help flesh out all the good stuff. I wouldn’t be able to do any of this stuff without my sister. Sure, I might be crazy enough to start it, but she always believes in me enough to keep me going. She’s the one that believed in me enough to help me start my very own Etsy shop this month. There are Facebook groups for just about everything, and I’ve met a bunch of my blogger friends through them, and through the group I started. If you’re in college like me, there’s probably a bunch of people at your school doing the same thing, too! When you find the right people, numbers 1-5 will be much easier to accomplish. Finally, here’s some shots from the “Art of the Brick” exhibit in Tampa (where all the art is made out of Legos!) that I went to this summer, which got me in the creative mood and inspired me to write this post. What’s your creative passion? Have you sound it yet? Let me know in a comment below! I love this post so much! thank you for giving inspiration ideas. I can really appreciate your post! I feel like I am not conventionally creative, but kinda crazy-creative. I guess that’s why writing serves me well. Thanks for your post! I know what you mean! I’m glad you have writing then, it’s such an amazing outlet! Great tips!! Love finding your spot and your tribe! Thanks, Meghan! Those are super important! It took me a lot longer to discover I love to write. I was 50 when I started a blog. Good job finding something you love. It’s great you found your passion now! I’m so thankful for starting my blog early. Such a cute read! I love my artistic side and I feel like I don’t cultivate it enough! Here’s to the semi-creative!!! Loved hearing about your journey. I love these tips, Kristen! That is so great to hear!! I hope you stick with it! Ah thank you, Maisie!! I totally understand, good luck to you! Great post. Working on #6, finding my tribe!